Today I have the pleasure of having Michelle Harrison, author of Unrest, visit my blog for her Unrest Blog Tour! Read on for Michelle's thoughts on ghosts. You know those Scooby Doo endings, where the ‘ghost’ is unmasked to reveal the creepy caretaker? I always hated them, and not only because they were clichéd. 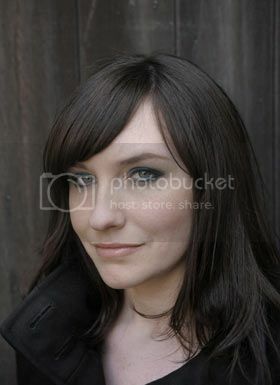 I so badly wanted the haunting to be real. Just once. Throughout my life, the supernatural has fascinated me. I recall a group of us sneaking on to the apparently haunted school stage to tell urban legends and ghost stories; playing Led Zeppelin’s ‘Stairway to Heaven’ on a loop at a friend’s house in a DIY séance to contact her dead grandmother; and when visiting Hangman’s Hill in Epping − where cars spookily roll up the hill even when not in gear − I held my own investigation into the phenomenon and tried it with my roller skates. To me it was better than a day at a theme park. When I was about thirteen I bought a book called The A-Z of British Ghosts. There was one entry I returned to repeatedly: Chambercombe Manor in Devon. Legend has it that a past owner, noticing a lintel where there was no window, knocked down an interior wall and found a hidden room containing a skeleton. Following the discovery came reports of a haunting. The story both disturbed and gripped me and I felt determined to visit the house one day. At around the same time I began writing short stories. Most were supernatural, and heavily inspired by my favourite author at that time – Christopher Pike. Many were about ghosts, as was my attempt at a novel that never made it past chapter three. Had anyone suggested then that my first books would be about fairies I wouldn’t have believed it – but that was before I’d discovered the darker side of fey folklore and, though lured away for a while, deep down I always knew I’d return. Having written about fairies, I’m often asked if I believe in them. I’ll reply that I’ve never seen one, but I’d like to think they could exist. With ghosts the answer is simpler. As a student I lived in a flat above an old pub. One morning I was literally shaken awake by something, only to find the room empty. Was it a dream? Perhaps. Did it happen again? No – I moved out soon after. My interest in ghosts didn’t extend to the idea of living with one. In hindsight such events are easily attributed to an overactive imagination. Yet at night, when the mind wanders, these things seem unnervingly possible which is maybe why, for me at least, the fascination with the afterlife prevails. I eventually visited Chambercombe Manor a couple of years ago. Aside from the secret room there were stories of other ghosts including that of a servant boy hanged for stealing some bread. This story was the basis for one of the spirits Elliott encounters in Unrest. To begin with, Elliott doesn’t know whether he’s really being haunted or if he’s going crazy. In his search for the truth he eventually finds someone who tells him, ‘if it’s real to you, it’s real enough.’ So, with that in mind, do I believe in ghosts? Yes. I think I do. Thank you, Michelle, for a brilliant guest post! What do you think? Do you believe in ghosts? Have you had any ghostly experiences you;d like to share? Comment away! 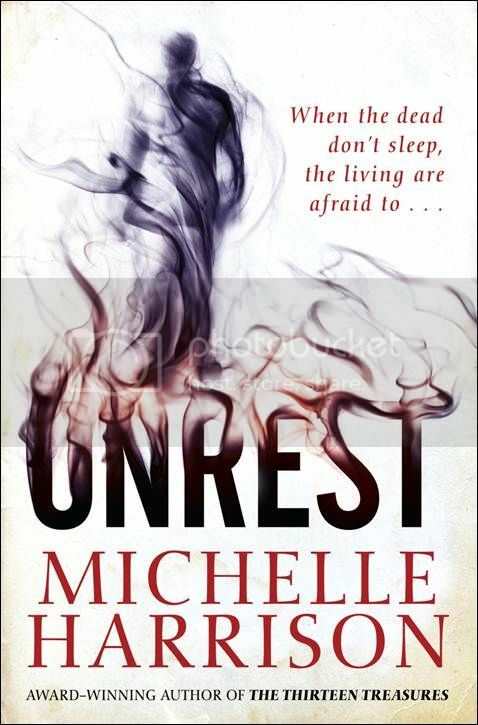 Be sure to check out Michelle's website and Unrest when it's released on 26th April! I so enjoyed reading this post!! I love hearing people's beliefs in supernatural phenomenon and especially ghosts. I definitely believe, there were too many experiences growing up, especially in one house, where electrical appliances were often turned on randomly and a few times where visitors had either seen the top half of a figure float across the hallway and one person physically pushed across the room one night. I can't verify whether those were real, but it sure LOOKED real haha. One time we were all sitting just outside the back door late at night, no on else was in the house and the front door was locked, but we all distinctly heard footsteps walk through the house (the floors also used to creak, so add that to the effect), which was moderately freaky haha. But I don't think this world is just limited to what we can see and hear. Just look up at the sky and there are so many infinite possibilities to what is out there, what is around us, what is BEYOND human knowledge. Love the post and am SO excited to read Unrest!! Your experiences are so fascinating! I don't believe in ghosts myself, but the stories are interesting! I would have been seriously creeped out! Lol.